The first section below was written by John J. Puccio, a fine film writer and an even better music critic who runs the fabulous blog Classical Candor, on the occasion of the 2005 DVD release of 'The Innocents.” The other sections are written by Christopher Long (your humble proprietor of DVDBlu Review) in regards to the 2014 Criterion Blu-ray release. 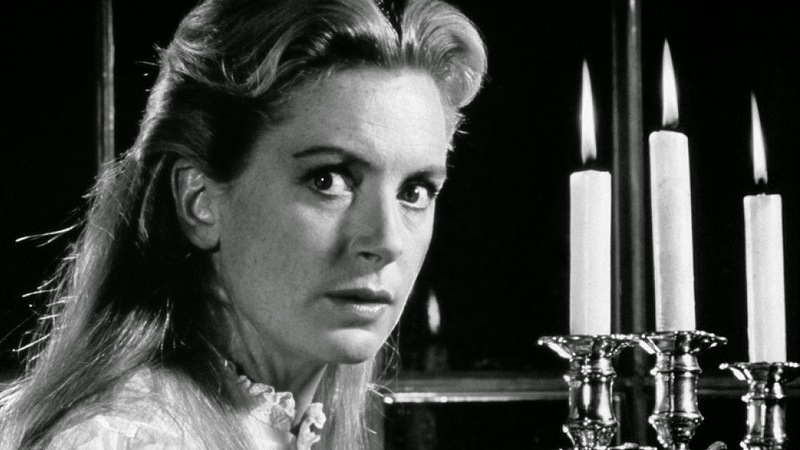 I hesitate to call Jack Clayton's 1961 production "The Innocents" a haunted-house story, even though that's what people have been labeling it for the past forty-odd years. Based on Henry James's classic 1898 novella, "The Turn of the Screw," the movie comes fairly close to capturing the chilling tone and ambiguous drama that James intended, and both the movie and the story have set the standard for mature, psychological ghost stories ever since. A movie is only as good as the people who make it, and "The Innocents" arrived with a proud lineage. Producer-director Jack Clayton had already made "Room at the Top" (1959) and would go on to direct "The Great Gatsby" (19740. Henry James, whose story inspired the film, was an author read in most schools and colleges around the world, his work including "The Wings of the Dove," "The Portrait of a Lady," "Washington Square," "Daisy Miller," and "The Ambassadors." No less an artist than Truman Capote ("Breakfast at Tiffany's," "In Cold Blood") co-wrote the screenplay with playwright William Archibald ("I Confess") and got additional scenes from John Mortimer ("The Running Man," "Tea With Mussolini"). Georges Auric ("La Belle et la bete," "Orphee," "Roman Holiday," "Bonjour tristesse") contributed the atmospheric musical score. Deborah Kerr ("From Here to Eternity," "The King and I," "An Affair to Remember") headed up the small but stellar cast. And the location shooting at Sheffield Park (exteriors), integrated with filming at Shepperton Studios, England, (interiors) rounded out the film's pedigree. 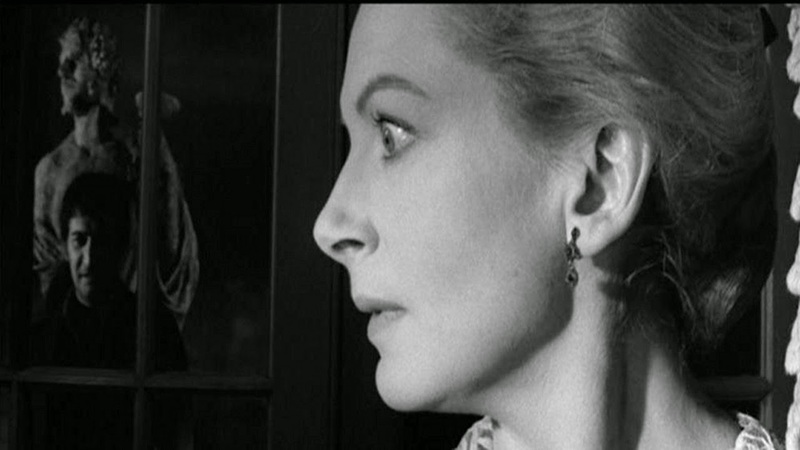 "The Innocents" is not, as you are probably aware, an ordinary fright fest. In fact, when it premiered, Twentieth-Century Fox advertised that "there has never been a ghost story for the adult moviegoer until 'The Innocents'...a new and adult motion-picture experience." Understand, this was at a time when "adult" meant something serious and intellectual, not violent, salacious, or profane. You'll find no big shocks in "The Innocents," only plenty of evocative suspense. Like several of its better offspring--"The Haunting" (1963) and "The Others" (2001), for example--"The Innocents" develops its tension more from what is unseen and unknown than from gory special effects or rubber masks. The story concerns a woman, Miss Giddens (Kerr), who accepts a position as governess to a pair of young orphan children, Flora and Miles, whose closest relative, an uncle, cannot be bothered with them. The uncle is quite wealthy and maintains a home in the city, preferring it to his country estate, called Bly, where the children live. The story is told in flashback from Miss Giddens' point of view, and as the movie begins we see her praying for help regarding the children in her care. It's clear she thinks the children are disturbed in some way, but we do not know how or why. The home, Bly, is a huge, rambling old Gothic manor, set amidst lavish gardens and a nearby lake. The countryside is tranquil. The governess loves children, and the children are angelic. Consequently, the governess figures her new position is as perfect as it could possibly be. Until a mess of weird things start happening. The gimmick of James's story is that it never lets the audience know if the goings on are real or imaginary. Miss Giddens notices the animals in the vicinity seem skittish. She starts hearing odd noises at night, and she has bad dreams. The little boy, Miles, is expelled from school, accused of being a threat to the other children. The little girl stares out her bedroom window late into the night. Soon, the really creepy stuff begins. The governess sees mysterious figures lurking about in the dark, people who shouldn't be there, and she is soon able to identify them by photographs she finds. They are the uncle's former valet, Peter Quint, and the children's former governess, Miss Jessel. Both of them dead! In the event you should think I'm giving too much away, we learn all of this early on, and, anyway, most of it is written on the back of the keep case. The housekeeper, Mrs. Grose (Megs Jenkins), explains to the new governess that Quint and Miss Jessel were lovers, that Quint died by accident while drunk one night in a storm a year or more past, and that an inconsolable Miss Jessel committed suicide soon after. Now, do their ghosts haunt the old house, or is Miss Giddens imagining things? More to the point, the children's behavior seems to mirror everything Miss Giddens learns about Quint and Jessel. Is it possible that Quint and his lover somehow took possession of the children's souls? Are the spirits of the dead living again through the youngsters? Clearly, young Miles had adored Quint before he died. Is Quint returning to take advantage by directing the boy's actions, which at times border on the bizarre, particularly the sexual tensions the twelve-year-old creates between himself and the new governess? Are the children really so innocent after all? Is the governess? Neither Henry James nor director Clayton reveal their hands, choosing to allow the audience to make up their own minds, instead, whether the house is haunted or whether Miss Giddens, whom we learn is a sheltered and sexually repressed spinster, is losing her mind. At forty, Deborah Kerr was a little old for the part of James's twenty-year-old governess, but Ms. Kerr is a beautiful woman, and her portrayal brings an added sense of isolation and frustration to the role. Kerr commands our attention from beginning to end. Megs Jenkins plays the patient and understanding housekeeper, and she becomes Miss Giddens' closest confidant. Yet even Mrs. Grose has difficulty accepting the governess's obsession with ghosts and demonic possession. Child actors Martin Stephens and Pamela Franklin are ideal for their roles, part angels, part devils. This would not be the only time Ms. Franklin would enter the film world of the supernatural, by the way; she later appeared in "Necromancy," "Satan's School for Girls," and, most importantly, "The Legend of Hell House." The others folks in the cast are of little consequence. Michael Redgrave plays the uncle in a purely perfunctory appearance, one far less important than it was in the James story, where the governess appears to fall in love with him. Peter Wyngarde and Clytie Jessop play Quint and Miss Jessel, but, understandably, their roles are brief and wordless. The movie's success derives from its intelligent script; its fine acting; Jack Clayton's nuanced direction; Freddie Francis's superb black-and-white cinematography, with its imaginative camera angles and framing; and Georges Auric's eerie background music. 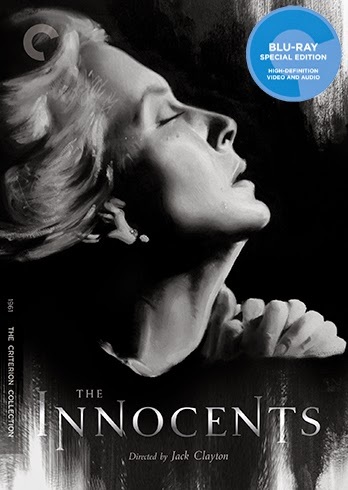 In all, "The Innocents" provides an excellent evocation of time and place and creates an appropriately spooky tone that builds slowly, incrementally, until it reaches a shattering conclusion. The movie is not a shocker or even much of a thriller, but it will keep you on edge all the same. John has given you a splendid analysis of the story, so I'll just say a few words about the visuals. As has been well-documented by scholars, Clayton was forced by 20th Century Fox to shoot in Cinemascope, and necessity is definitely the mother of invention. Cinematographer Freddie Francis developed some marvelous “cheats” to work with the wide-screen format but still narrow the image for the more claustrophobic effects Clayton wanted. Francis used painted lenses that obscure the edges of the frame, letting the darkness creep deeply into many of the interior shots lit primarily by the candles carried by the actors. It's an extraordinarily evocative effect in hits rich, sharp contrast black-and-white, yet subtle enough that the studio executives either didn't notice or care. Yet Clayton and Francis eagerly embrace the full range of the Cinemascope frame in other sequences, with characters often situated at far ends of the screen. Furthermore, while many Cinemascope films focus the viewer's attention on left and right, much of the film is shot in deep focus with one actor in the foreground (usually Kerr) and others deep in the background, sometimes so distant they can barely be discerned. All of this emphasizes the vastness of Bly House, both inside and outside, and lends the movie a dynamic feel that goes a long away to explaining its enduring appeal among cinephiles. This is a space with ample room for both the living and the dead. One brief note about the story. For all the attention lavished on the ghost story and the governess's mental state, sometimes the children get overlooked. If the (potential) supernatural elements are removed, this is a tragedy about two children who have been betrayed by a series of adult caretakers: their parents (who died), an emotionally distant uncle, the possibly abusive Quint, and now Miss Giddens, who had promised a loving sanctuary at first. No specter could wreak as much damage as that sorry legacy. The film is presented in its original 2.35:1 aspect ratio (since it's Cinemascope, maybe it should be 2.40:1 but I'm going with the text in the Criterion booklet). Writing about Criterion's high-def transfers is often an exercise in redundancy and I sometimes feel foolish trying to find new words to say the same old thing. This 1080p transfer is razor sharp. The black-and-white contrast is rich and absorbing. In other words, it's great. If you have any complaints, your standards are unrealistic. The linear PCM mono track is a typically crisp and clean product from Criterion. I think the whispered ghostly voices in some scenes would sound too overwrought on surround channels; the mono track might not be that dynamic but it's effectively subdued. Optional English subtitles support the English audio. Criterion hasn't included too much brand new material, but they have imported some features that appeared on the 2006 BFI release of the film. These include the commentary track and a video introduction (23 min.) by film scholar Christopher Frayling. They seem to overlap a bit (I've only sampled a half hour of the commentary, though) but Frayling's video introduction, recorded at Sheffield Park where some of the film's exteriors were shot, is informative and fairly wide-ranging. He talks a bit about some of the changes from book to film, also mentioning the 1950 play by William Archibald which was one of the movie's sources. Then he goes into more detail about the production. Be warned, though, that this feature assumes viewers have already watched the movie and contains major spoilers. “Between Horror, Fear, and Beauty” (14 min.) is described as being produced by Criterion in 2014, but consists mainly of 2006 interviews with Freddie Francis, editor Jim Clark, and script supervisor Pamela Mann Francis. I assume the “produced in 2014” refers to the high-def film clips interspersed between the interview snippets. Entirely new to this release is a fantastic 2014 interview (19 min.) with cinematographer John Bailey who discusses Freddie Francis's innovative work on the film. He goes into great detail about the challenges presented by the sometimes-awkward Cinemascope process. We desperately need more features like this by professionals with a keen eye for visual analysis. The disc also includes an original Theatrical Trailer (3 min.) The studio was intent on exploiting the success of Hammer Horror films so they created a shlocky trailer that's about as misleading as the one that suggested “Man of Steel” had something to do with the character known as Superman. The slim fold-out booklet features an essay by critic Maitland McDonagh. 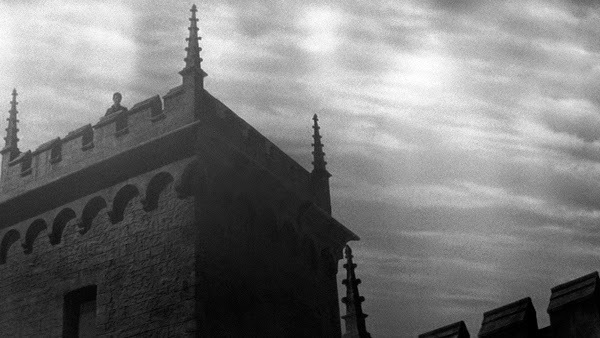 With “The Uninvited” (1944) and now “The Innocents,” Criterion has added two of the finest English-language haunted house films of all-time to their collection. The extras are perhaps a bit slim, but the high-def transfer is immaculate. Strongly recommended.